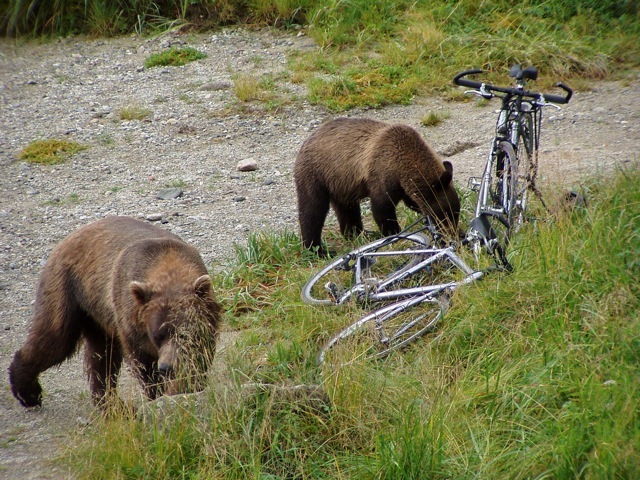 Explore the variety and wonders of the Haines area for three days on a bicycle! Tailored to your riding interests, includes use of a high quality touring or mountain bike, guide and support van, and a locally inspiried picnic lunch each day. There are many paved and dirt road riding options, and including a half day of kayaking or rafting is a possibility for an additional charge. 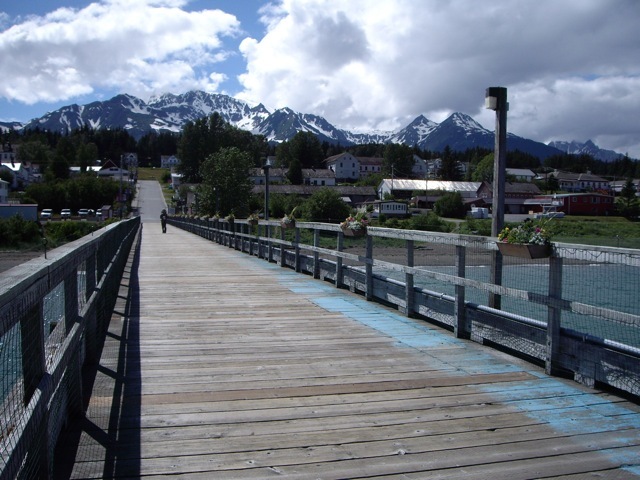 Explore the variety and wonders of the Haines area for three days on a bicycle. This custom tour can be tailored to your riding style. 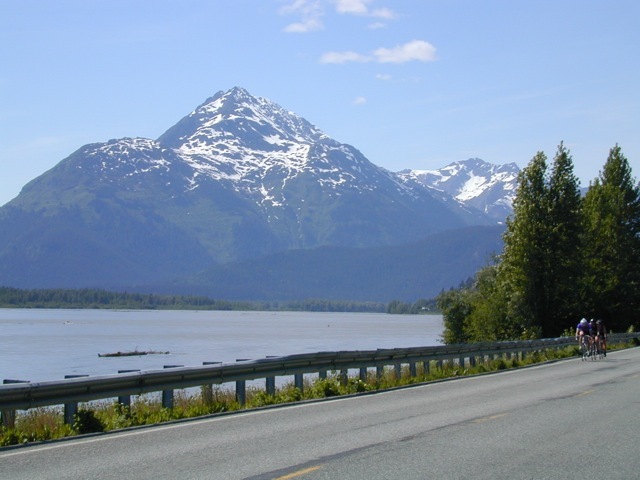 Haines offers many miles of low traffic, scenic, road riding. In addition, there are a few unpaved dirt roads that could be explored on this tour. 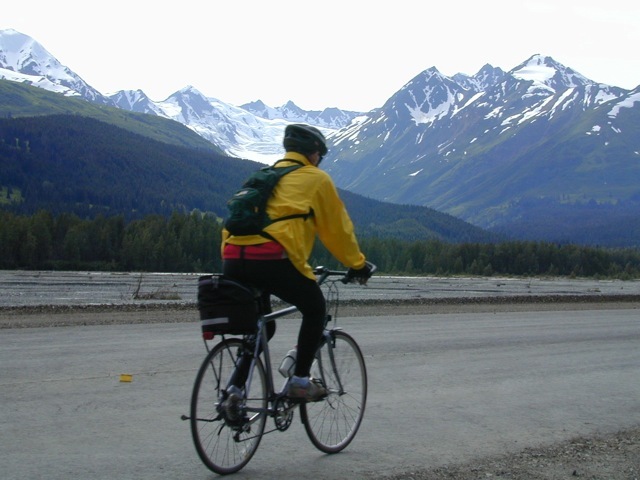 Check out our Haines Day Tours page for daily ride options. Kayak and rafting tours can be arranged and added on to one of your day rides. Lodging, breakfasts, and dinners are on-your-own. 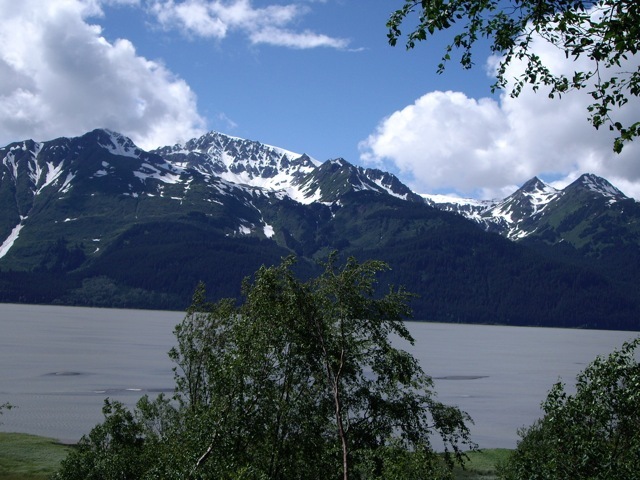 For more information about travel to Alaska and recommended gear see our trip preparation link. The itineary varies depending on what your interests are. See Haines Daily Tours for options. Duration: 3 days, 9:00 departure each day.